The Adder System helps give you rapid, uninhibited access to your weapon. Clothing with this System includes an exterior cargo pocket that covers the concealed carry storage area and looks and functions like a standard pocket. The Adder System also allows for the secure use of a holster. The Berne Men’s CCWS06 BK Echo Zero Eight Softshell Concealed Carry Water-Resistant Jacket features the Dual Sub Compact Adder System that provides a customized, secure fit for your weapons. 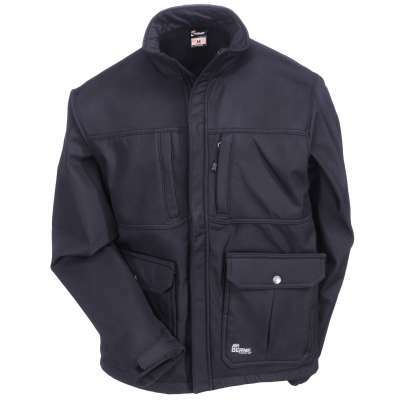 This jacket’s 8-ounce polyester soft shell exterior is bonded to a microfleece interior. The breathable fabric allows airflow to reduce sweat and moisture. When you’re out in the elements, you’ll appreciate its wind- and water-resistant properties as well as the front zipper with exterior storm flap to block the wind and rain. Dual-zippered chest pockets keep your belongings secure and two lower cargo pockets with snap top closures and tear-away pockets conceal your weapon safely in a Velcro holster. The side snap vents offer quick, on-belt access. The Berne Men’s CCWJ01 BK Black Echo One One Concealed Carry Jacket has plenty of compact storage for your weapons and accessories. With dual, full-size Adder System pockets, this jacket works for both right- and left-handed users. There’s enough space to handle full-size pistols, too. A MOLLE and Velcro retainment system accept any Velcro-backed or MOLLE holsters so you can completely conceal — and quickly access — full-frame pistols. The dual-zippered front chest pockets provide secure storage as well. The snap side vents give you easier access to any on-belt items and the pleated action back and elbows give you extra mobility. 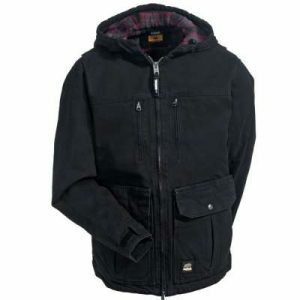 This jacket’s heavy duty 100% cotton canvas shell fabric is durable and rugged for long-lasting use. To keep you warm, it also comes complete with premium insulation quilted to the flannel lining. 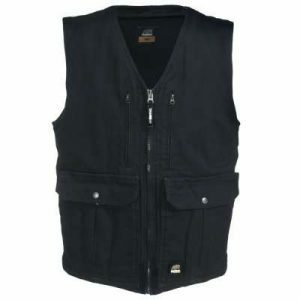 This Berne Men’s CCWV02 BK Black Echo One Zero Concealed Carry Vest is designed to help you properly carry weapons and accessories. Its heavy duty 100% cotton canvas shell fabric will give you durable, long-lasting use. The concealed carry pockets in its dual Adder System allow you to completely conceal compact pistols. It also features a MOLLE and Velcro retainment grid system, which provides security for holsters and accessories. Its dual compact-size pockets are designed for both right- and left-handed users. There are also dual-zippered front chest pockets to safely store your items. Snap side vents provide easy access to any on-belt items, and there are inside chest pockets with elastic MOLLE strapping for additional storage and retainment. For excellent warmth and comfort, the Echo One vest has premium insulation quilted to the flannel lining. 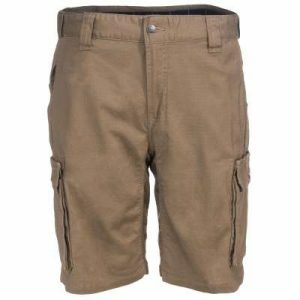 Berne Men’s Echo Zero Six CCWP07 PTY Putty Khaki Concealed Carry Cargo Shorts give you a classic style and ultimate function. The reinforced, deep coin and hip pockets with hook-and-loop closures give you plenty of traditional storage. For storage of your weapons, these cargo shorts come with the Dual Sub Compact Adder System Concealed Carry pockets that look and function like standard cargo pockets but provide space for your weapons and quick tear-away access. The Flex Fit Waistband has MOLLE Grid to add your own holster. These shorts give you comfort and durability and are made from 6.6-ounce 72% cotton, 24% polyester, and 4% Spandex Ripstop material. Abrasion- and tear-resistant. For added durability, all of the main seams are triple-needle stitched, and the crotch has a gusset for more room and comfort as you move. 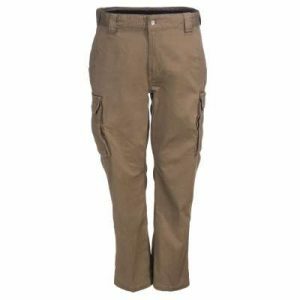 The Berne Echo Zero Six Concealed Carry CCWP04 PTY Men’s Khaki Work Pants give you comfort, strength and flexibility in their cotton/polyester/Spandex blend. These classic khakis will last, with triple-stitched main seams. The crotch gives you plenty of mobility with its added gusset. Berne designed these pants with expert craftsmanship like reinforced pockets and secure hook-and-loop closures. The wide belt loops can accommodate a number of belt options. For storing your weaponry, these pants are state of the art. The Flex Fit waistband features a MOLLE Grid for the accommodation of your holster. The cargo pockets are designed for tear away quick access and securely store your weapon and your ammunition. 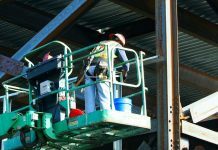 View our full line of Berne Apparel at WorkingPerson.com. Have you tried any clothing from the Berne Concealed Carry Workwear? What is your favorite feature?